This is where we are parked today. The European Space agency launched a rocket ten years ago and successfully put an object on a mile wide comet this week and the feat gave me pause to think. As a boy growing up in the Midwest I would often look up at night and marvel at the wonders of the heavens. Back then the light pollution was vastly reduced and the objects in the night sky were easy to see or my eyes just worked better back then. We camped out with the Boy Scouts or in the back yard with neighbor kids and would see the occasional “shooting star”, full moon with crater shadows that gave it the man-in-the-moon face and we would even spot man-made satellites (the US in 1960 launched Echo I which was a big shiny aluminum balloon satellite that was easy to see with the naked eye at night) that looked like small stars that moved slowly among the natural stars. The first time Mars was pointed out to me, it was at its closest point to the earth and you could see that it was indeed red. We sat for hours staring at a black and white TV screen in our class rooms waiting for the first Americans to be launched into space with NASA’s Mercury program. We all knew that this was the beginning of man going to the moon and our imaginations were captivated by space travel. We studied about the discovery of the New World by Columbus, Puritans struggling across the ocean to settle America, Lewis and Clark and discovery of a great new country, pioneers by the thousands traveling across the Great Plains in covered wagons to the west. As a people, travel has always captivated us. As kids, we dreamed of going to a place called Disney Land having glimpsed it on the magic box called TV. Children for the most part, I believe, travel as easily as pet dogs and the occasional vacation trips my folks took us on were great and exciting adventures until a sibling tried taking up your space in the already over-packed car. Most of the trips were to grandparents’ houses but once my dad piled all 5 (eventually there would be 7) kids into the station wagon and struck out from Dallas to Galveston so we could swim in the Gulf of Mexico. It was some place new and the word “Mexico” made it exotic. Back then very few cars had air conditioning and ours did not. Need I say that Texas is hot in the summer?! The overloaded station wagon developed tire problems and a gas station attendant worked for hours trying to fit two mislabeled, undersized tires on the rims while my mom tried to calm her brood of over-heated, pent up children, the baby of which was coming down with a very bad fever unbeknownst to anyone. Once the station owner stepped in and saw the error on the tires, we were once again on our way but by now my baby brother was in distress and the first stop in the city of Galveston was to a doctor’s office. Because of my sick little brother, we only stayed one day on the beach at Galveston but we did get to swim in a body of water we had never seen before and have a sea-food dinner that was strange to hot dog eating Midwestern kids. No, we never got to Disney Land as kids but I relate this story to you so you might see from where our wanderlust derives. Both Joanie and I moved a lot while we were growing up so, you might say, “we never put down roots”, for whatever that means. To satisfy our need for adventure we turn to travel. To travel is part of our culture. Many of our generation also find travel part of their lifestyle which explains the sale of RV’s being up 15% or more this year. As baby-boomers retire they are not sitting still and are taking to the open road as we have. The declining prices of gasoline and diesel fuel are helping this movement. I wonder if today’s children (our grandchildren) will have this same sense for adventure. They spend a lot of time with computer screens in front of them and they don’t play outside as much as we did. They are not allowed to explore on their own as we did as they are now accompanied by their parents on supervised “play dates” eliminating much of the spontaneity that we enjoyed while having to entertain ourselves. By the age of nine I was frying my own eggs for breakfast and we were out of the house even before my folks were up and they often would not see us until they hollered out the door for us to come in for dinner. All the kids in the neighborhood did this. The parents of kids would be arrested and their children taken from them if this happened today. We enjoyed a great freedom that children today do not. When my grandchildren grow up and are my age now, will they have the freedom that I enjoy today? 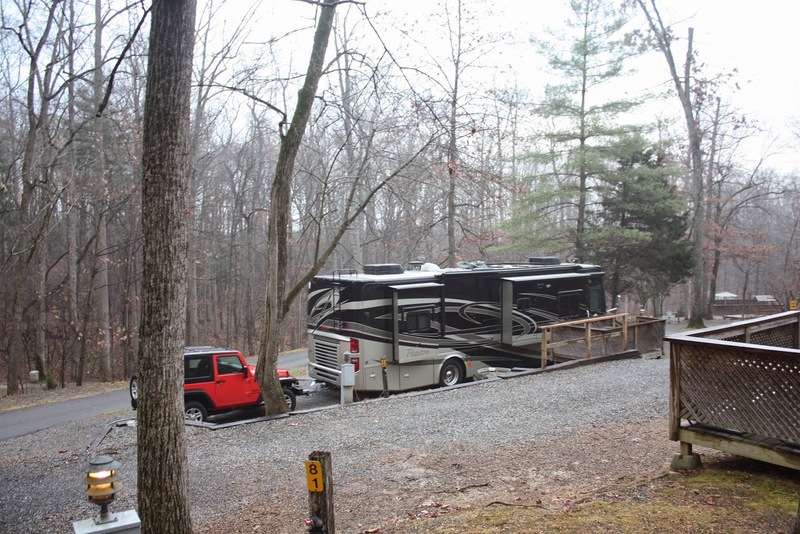 Still heading South, we are in Natural Bridge, VA for the next few days at a KOA campground that has almost all it sites terraced out of the hill sides. The interior roads are steep and reek havoc on my knees but all the sites are level. Ours also has a heated stand pipe so it is OK to hook up our heated water hose. By doing this we are almost guaranteed that the temperature not drop into freezing territory. I truly liked this post. I remember always looking for constellations. A few weeks ago I was thinking when was the last time I saw the Milky Way? With all the light pollution I am thinking its been years and years. Interesting post. My parents had little money and little time for vacations. However, there were 3 or 4 trips from Texas to Missouri to see relatives with a few side trips along the way. I remember them well, and are highlights of my 'growing up'. As soon as I was out of college and married, my wife and I began the annual 'long drive' vacation trips. On one trip to Colorado, our kids, ages 2 & 3, just could not sit still or get along with each other. At one point, while I was trying to get from our last 'attraction' to our motel reservation location, I saw a guy pulled off on a grassy area (looking back, it was probably a campsite!) at the attraction with his Class 'C' awning out and his grill going at 4 pm. His kids were happily running around and all seemed like they were having a good time and relaxed...... like being on vacation! I pointed it out to my wife and told her that we were going to have to find out what those things looked like on the inside, and how much they cost! That was the summer of 1976, and on April 1, 1978, we signed the papers on a 1978 Itasca 25' Class 'C'. We had that '78 until we sold it when we bought a '93 Airstream Landyacht motorhome. In 2008, we sold the Airstream MH when we ordered our new Tiffin Allegro Bus and went to Red Bay to watch it being built! At this moment, our Bus is in a work bay at Cummins in Houston, and we just spent our first night in a motel since I retired 10 years ago this month. We attended the Christmas rally of the Lone Star Allegro Club. Rally with friends.... priceless; staying in a motel room at a rally..... BUMMER!!!! Sorry about your BUMMER, Richard. I hope Cummins gets you back on the road soon. Hope the motel is not too uncomfortable. 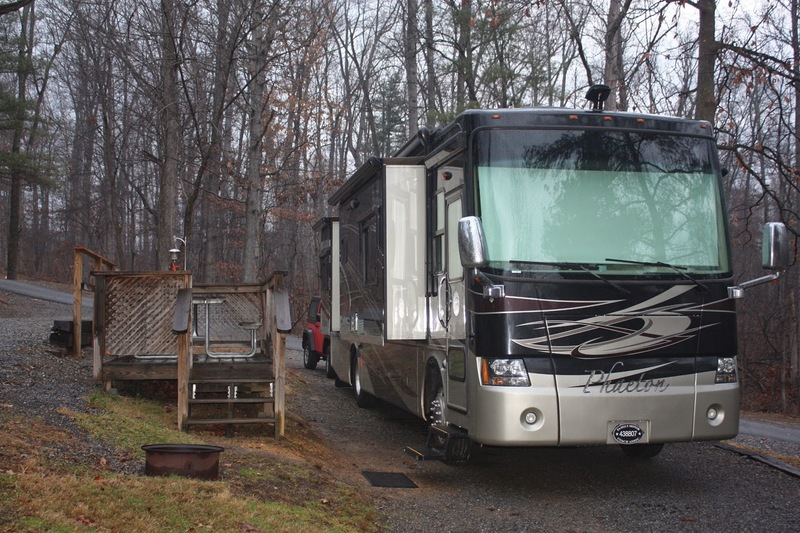 We are very good friends with a couple who own a 2008 Allegro Bus that they love. Let us know when they get it fixed.